Layers of wafer-thin, crispy flakes are what makes a flaky pastry. And making a flaky Pie Crust usually takes a lot of time and effort. So if you are short of time and looking for a short-cut then here is one. The flakiness is formed by combining the fat and the flour in the shortest time possible, leaving flecks of fat trapped within the dough that will create pockets of air while baking that separates and creates layers in the crust. 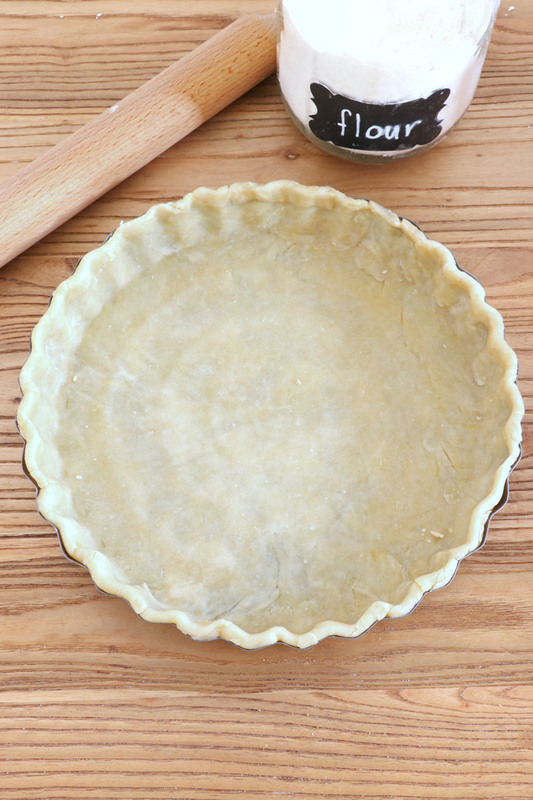 Unlike other pie crust, flaky pie crust does not have sugar in it. It makes it perfect for savory meat pies, fruit pies, and quiche. Some recipes use butter as fat because it renders, well, buttery tasting crust which, of course, taste better. But if you are in a warmer region you might want to use lard or shortening as both have a higher melting point than butter. 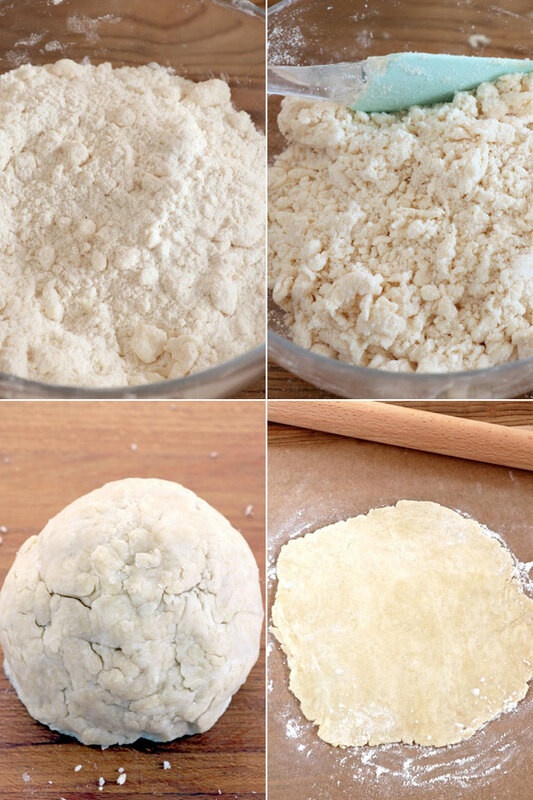 This means they do not melt or soften as fast while being handled and it does not easily dissolve into the flour which is the most important thing to get a really flaky pie crust. Maybe when you have more experience in making this pie dough and you have a cooler work area, you can give butter a go. Just remember not to over handle or overwork the dough so you should work as quickly as possible. You may also mix the fats (part butter and part lard/shortening) to achieve both the buttery taste and flakiness that a truly good flaky pie crust should be. 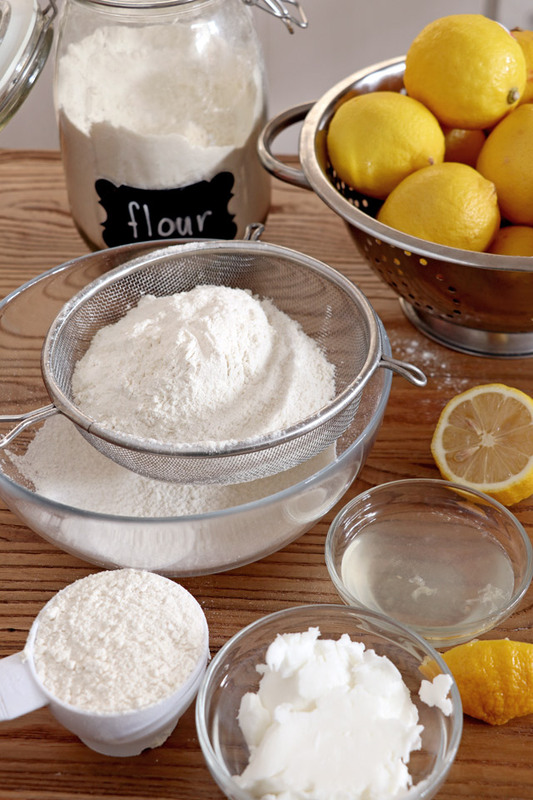 Whatever kind of fat you choose to use, make sure they are chilled or even frozen after cutting into small pieces before you add them to the flour. This makes the dough easier to handle and assures you of flakier pastry. If your kitchen is too warm, you might need to make an extra effort. Try chilling the sifted flour and salt together with the bowl before adding the chilled fat. Check that the fat is always cold throughout the process before baking, melted fat=no flakes! Although it might be tempting, do not add too much ice water as it will toughen the crust. Do not overwork the dough. The ingredients should be kept cold and mixed only until combined and no more. Avoid using your hands to mix as they emit heat. Use a fork or a pastry blender. If the dough gets too warm and the fat starts to become soft while rolling, stop! Chill the dough again for 15-30 minutes. Layers of wafer-thin, crispy flakes are what makes a flaky pastry. And making a Flaky Pie Crust usually takes a lot of time and effort. So if you are short of time and looking for a short-cut then here is one. Perfect for meat pies, fruit and berry pies, and quiche. Sift flour and salt, cut in chilled lard with a knife until particles are like small peas, not too small or the crust will be crumbly. 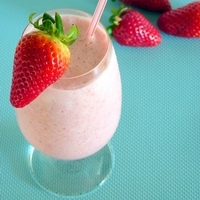 Gradually sprinkle the ice-cold water, while tossing lightly with a fork, to form a ball. Chill to make for easier handling and give the fat time to firm up again before rolling. Divide into nearly equal parts, roll into 2 crusts. Hi! i just want to know the purpose of lemon juice or vinegar? can i use other citrus fruit like calamansi? Hi Karen, just use vinegar. 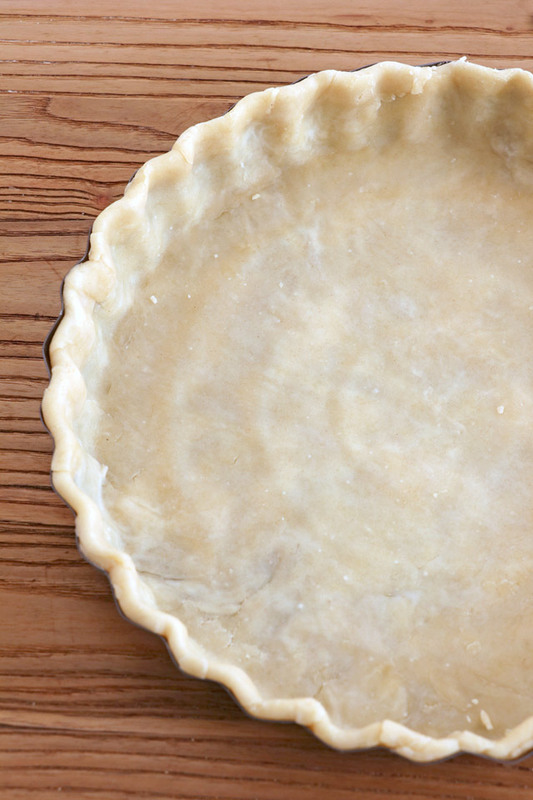 The acid slows down the formation of gluten and will give you flakier pie crust.